If you are familiar with the reality Tv show American Pickers, then you must know about Danielle Colby. American reality Tv star Colby, who co-stars with Mike Wolfe and Frank Fritz in the show is currently dating Jeremy Scheuch. The reality TV star has more to her than just Antique Archaeology store. Stick with us to know all the interesting facts you don't know about her. Colby was born on December 3, 1975, in Davenport, Iowa. The star has many fans who are interested in knowing more about her. Well, today we will uncover some interesting facts about the TV personality. Keep scrolling. Danielle Colby is a talented person. She was the owner as well as a performer in a female roller derby team called Big Mouth Mickies. Colby did roller derby for three years but had to stop due to physical injuries. Colby is also involved in Burlesque. While she was living with her family in Chicago, she got a chance to attend a burlesque performance which inspired her to start a burlesque of her own. After she moved to the Quad Cities with her family, she created the professional burlesque troupe named Burlesque Le Moustache. Colby performed under the stage name of Dannie Diesel. As of 2014, the inked star owned a Burlesque Acadamy called Dannie Diesel's Bump 'n' Grind Academy near Chicago. Colby manages the shop Antique Archaeology shop as seen in the reality TV show. Apart from that, the star also owned 4 Miles 2 Memphis, a retro clothing boutique in Chicago. The store sells upcycled vintage pieces. The reality TV star's personal life has gone through some rough patches. Colby has married twice, and both her marriages turned out to be unsuccessful but for now, she has a man. She first got married in 2004. She has two children from the marriage; a son and daughter. Their relationship was affected by the reality TV show and fame it brought. Her then-husband could not handle the limelight. Then, Colby got married to a French artist Alexandre De Meyer'. Colby did not share the news of her marriage until much later. The marriage, however, lasted a short period of time. It is not sure why the two got separated. It is not known if the two got divorced, but Colby has a new man. 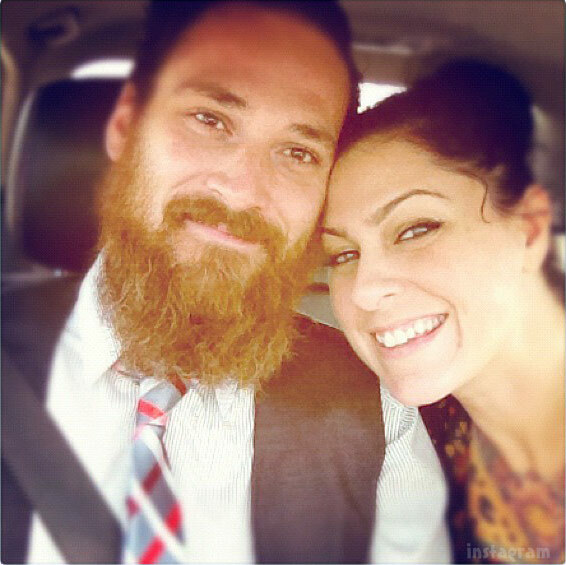 Currently, Danielle Colby is in a relationship with Jeremy Scheuch. The two are reportedly in a live-in relationship. They have been together for more than two years. Colby shares a lot of pictures with Scheuch on her Instagram page. However, the two don't seem to be in a hurry to marriage as Colby writes in her 2-year anniversary post "never ever ever ever get married." Danielle Colby is also a humanitarian. Currently, Colby and her boyfriend are busy raising funds for Puerto Rico with Happy Helperstons. The reality TV star has visited Puerto Rico for the relief works and planned to go there again. Colby supports the relief efforts for Puerto Rico and stated that she will jump in Lake Michigan if the required amount is raised. She has shared her journey with her fans via her social accounts. Danielle Colby is a multi-talented personality and is involved in noble charity works. She has had some rough patches in her personal life but now she is currently living happily with current boyfriend Jeremy.